The Guyana Power and Light yesterday responded to two articles regarding the award of the US$23M Inter-American Development Bank and European Union-funded Power Utility Upgrade Project. GPL will now test sample meters after awarding contract to CMC. According to the power company, it has formally requested sample meters and expects the delivery of these meters on or before May 15, 2017. This contradicts the information provided to Kaieteur News by Chief Executive Officer–Technical of GPL, Elwyn Marshall who said that China National Machinery Import & Export Corporation (CMC) had presented two meters to GPL and one model was agreed upon to be supplied. CMC and its partner, China Sinogy Electric Engineering Co. Limited, were awarded the multi-billion-dollar contract. Marshall had even said that he does not believe the company would experience problems sourcing the meters since they are available globally. According to the GPL statement, the samples to be provided must be consistent with the proposed meters declared in the bid document. Further, the power company said that the meters will be subjected to rigorous tests to ensure they conform to specifications outlined in the Tender Document and Accuracy tests performed by the Guyana National Bureau of Standards. The company said that the meters must successfully pass the aforementioned tests before the successful bidder is allowed to proceed with the procurement of the required quantity of meters. The company, however, failed to answer the question posed in both articles that asked why the contract was awarded without ensuring the successful bidder has access to and can indeed supply the quality of meters required. Based on information received by this newspaper, bidders were not required to provide samples of these devices only the winning bidder was required to so do. The company defended the contract award in its statement by saying that the Tender Document published for Lot A of the Power Utility Upgrade Project was given the ‘no objection’ by the Inter-American Development Bank in accordance with the Bank’s policy. Further, the company said that the evaluation process and report were also given the Bank’s ‘no objection’ approval from the Guyana National Procurement and Tender Administration Board (NPTAB) and would have received Cabinet’s approval in the last quarter of 2016. It is unclear why there has been a delay in the presentation of sample meters by CMC to GPL since the project was officially awarded in the last quarter of last year and we have already completed the first quarter of 2017 knowing that the project is scheduled to begin in May. According to GPL, the contract which was established between itself and CMC provides for the submission of sample materials to ensure compliance with the specifications stipulated in the Tender Document. These materials include but are not limited to meters, conductors and insulators. The company said this process is to ensure that the materials to be procured will satisfy expected standards. Meanwhile, during the interview with Mr Marshall, he said that he is not sure if the sample meters were ever tested but explained that it is standard procedure for the meters to be tested. CMC, a Chinese company, is partnering with China Sinogy Electric Engineering Co. Limited to complete the project. The companies are to supply over 20,000 smart meters for the project. Based on information provided the specifications apply to newly manufactured, single-phase and three phase socket-type static watt-hour post-paid meters for direct connections to measure alternating electrical energy and power consumption at a frequency of 60 hertz. The meters are to be suitable to operate in tropical climate and outdoor environment where temperatures may rise to approximately 45 degrees Celsius. In addition to that, the meters are to possess the ability to remotely disconnect or connect electricity using software from a control centre, once they are integrated into a Power Line Carrier Technology (PLC). 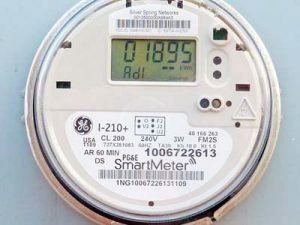 Among the smart meters, the company is expected to procure and install transformers, cables and connectors. New lines for medium and low voltage distribution network will target areas in Berbice and Demerara. The contract is essentially for the rehabilitation of 328 kilometres of GPL’s electricity distribution network.